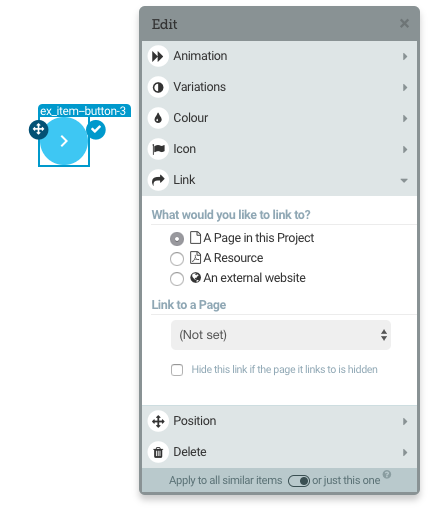 Menu pages have buttons that have ‘Link’ controls on them, click here to find out how to use that control. 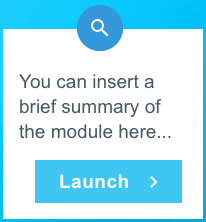 Menus are a useful tool for non-linear learning, please note that page types are not designed to be used with the ‘Prevent progress until complete’ or ‘User opening ALL parts of the page’ features. With this page type the learner can click on buttons that are placed on an image, clicking these buttons will link to a page in your project. 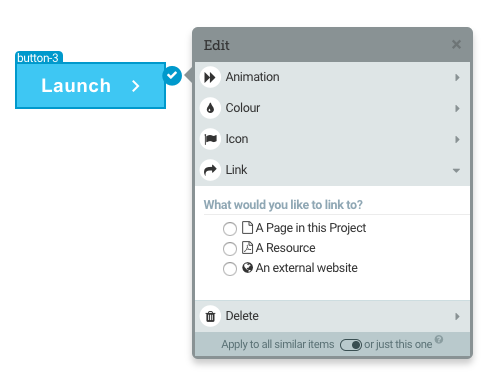 …clicking the ‘Launch’ button will link to a page in your project. 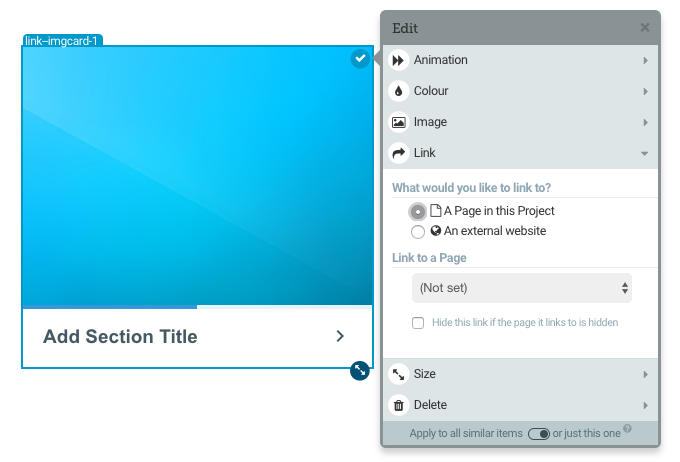 With this page type the learner can click on image boxes - clicking these boxes will link to a page in your project. The Image Grid, and Image Explorer Menu pages both have an indicator that allow your learners to tell if they have viewed and completed the page that is being linked to. 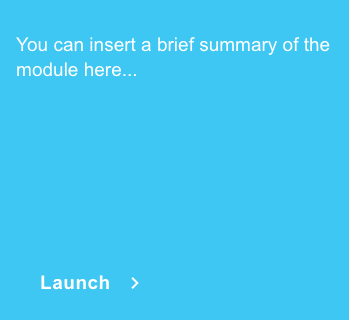 If the page that you are linking to is the start of a chapter the entire chapter will need to be viewed and then completed in order for the ‘Visited’ status to display.